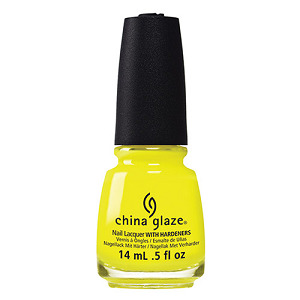 China Glaze Nail Polish, Daisy Know My Name, 1399, .50 fl. oz. Neon highlighter yellow creme nail color with subtle green undertones.